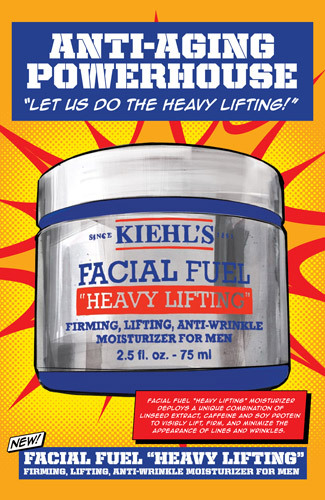 Here's something the man in your life will love: Kiehl's Facial Fuel product line just introduced a new antiaging moisturizer designed for men's thick, course skin. "Heavy Lifting" features gentle exfoliating actives that gently buffs away surface layer debris to improve dull looking skin. 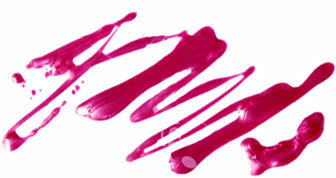 It's made with linseed extract to firm and lift the skin for a more youthful look. Considering that men's skin is subject to more damage and is oilier (and sweatier), this vitamin C and caffeine enriched cream will work wonders, leaving your man with younger looking skin. Eat your heart out, Brad Pitt! 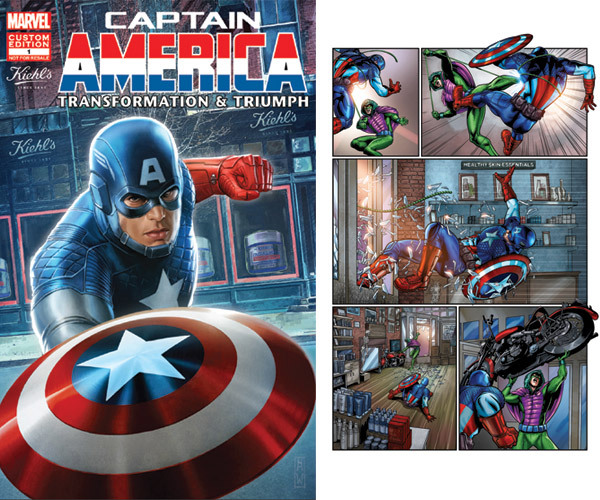 To celebrate the launch of "Heavy Lifting," Kiehl's has teamed up with Marvel Comics Custom Solutions for a limited-edition Captain America comic set in the brand's flagship store in Manhattan's Eat Village. Cool, right? The action-packed, 12-page story features characters from Kiehl's past and present and - get this - is free with any Kiehl's purchase starting on June 4th (while supplies last). If this isn't an excuse to try the new anti-aging moisturizer, we don't know what is. Grab yours just in time for Father's Day!